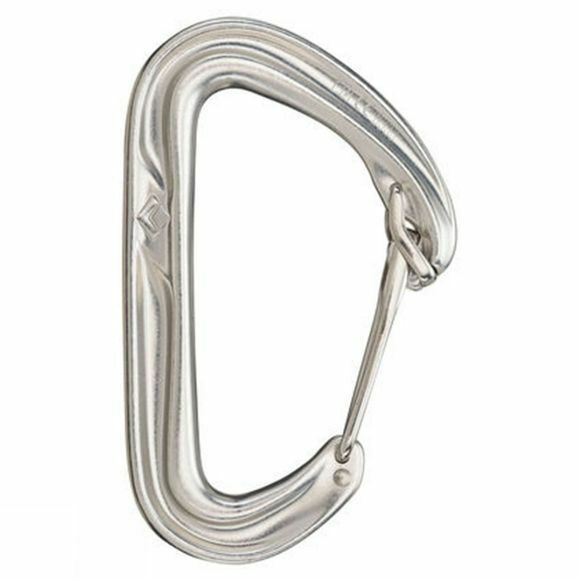 Black Diamond's HoodWire carabiner fuses keylock functionality with wiregate performance thanks to its innovative stainless steel wire hood. Its lightweight and unique design makes for hassle-free, snag-free clipping and cleaning. No detail on the HoodWire has been overlooked, including an optimized nose angle and a wide, rope-bearing basket radius.